Driving through California’s Central Valley I saw miles and miles of fruit and nut trees, as well as rows of lettuce and other vegetables stretching to the horizon. There were signs complaining that last year the federal government cut off water supply to California farmers in order to protect the endangered Delta Smelt, a small fish about 2 inches long. A few days ago NASA predicted that the state’s water supply will run out in 2016. What will become of the farmers then? Where will the nation get those oranges, cherries, pistachios, almond, vegetables and other produce from? 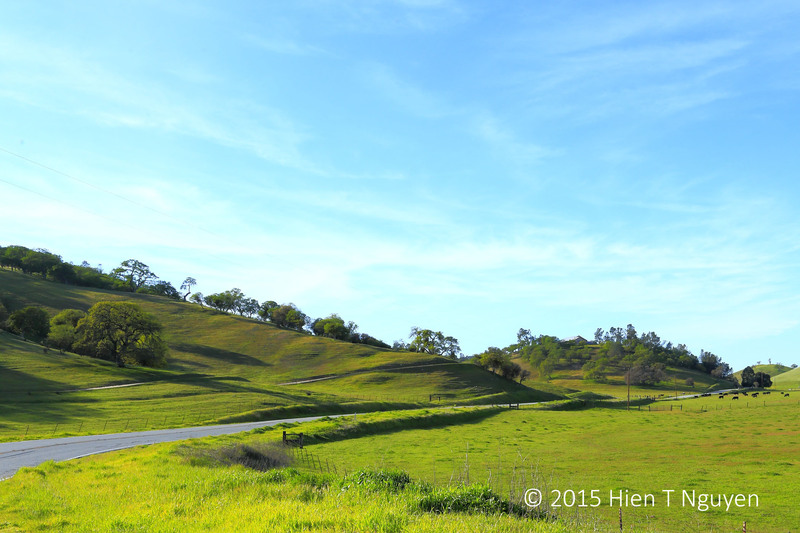 I am certainly no expert on these issues, but this is what I saw last week around Hollister, CA. 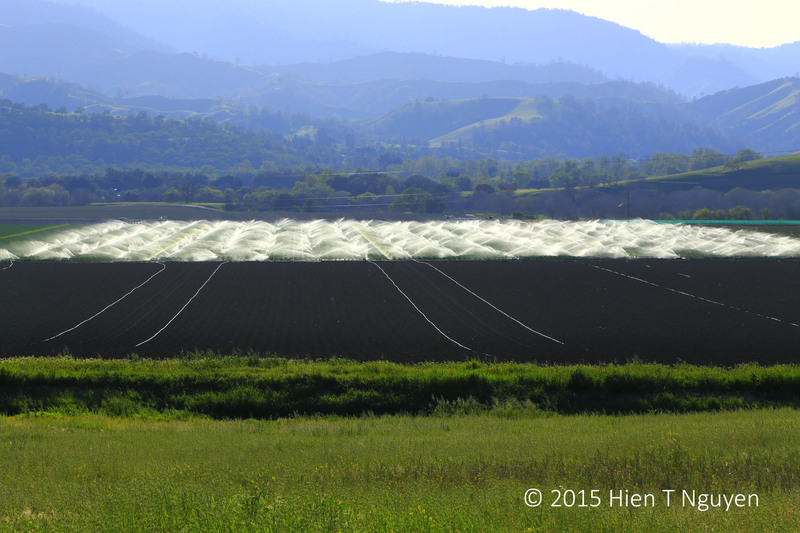 Field being irrigated near Hollister, CA. 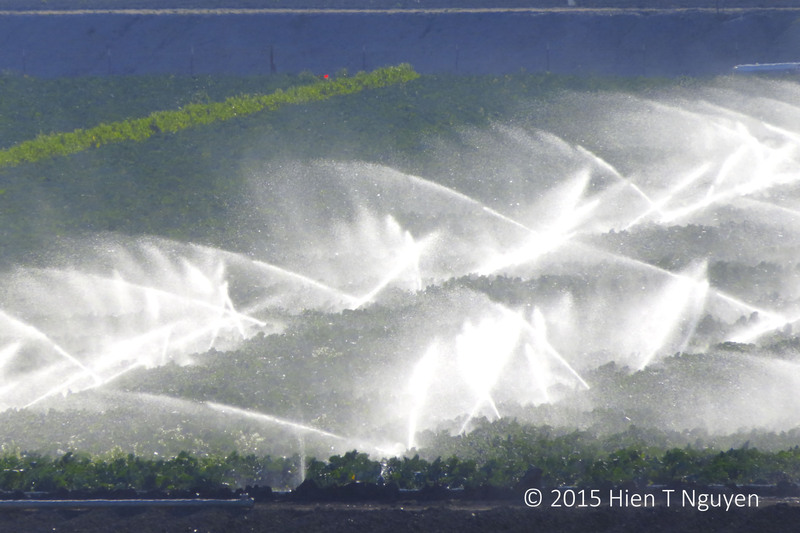 Closer look at irrigation near Hollister, CA. 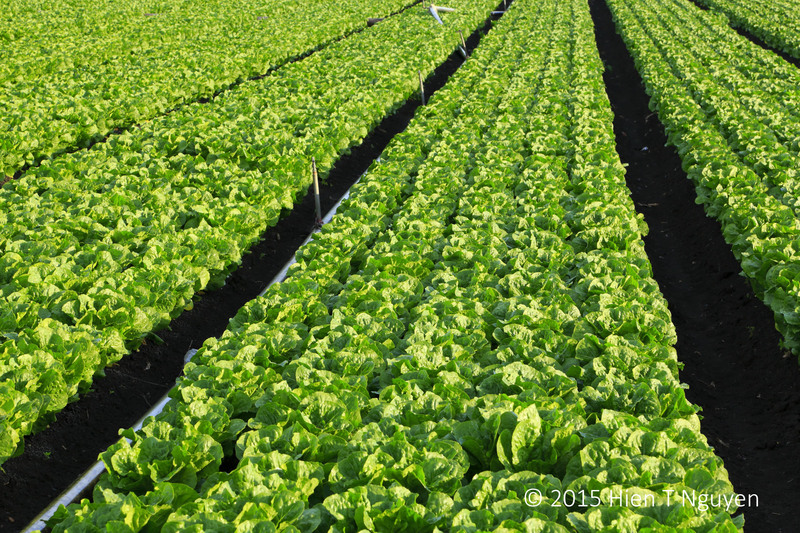 Rows of lettuce near Hollister, CA.